One chilly winter morning, a man on his way to work stumbled across six little animals in desperate need of help. The nearly hairless puppies huddled together in the woods — far too young to be away from their mother. Their skin was so pink and chapped they hardly looked like dogs at all. The Good Samaritan brought the puppies to a nearby shelter in Sylacauga, Alabama, where staffers were shocked by the mistreatment the young dogs had experienced. The dogs’ lack of fur made identifying their breed nearly impossible — but staffers believed that since they weighed in at only 5 pounds, the pups belonged to a smaller breed. 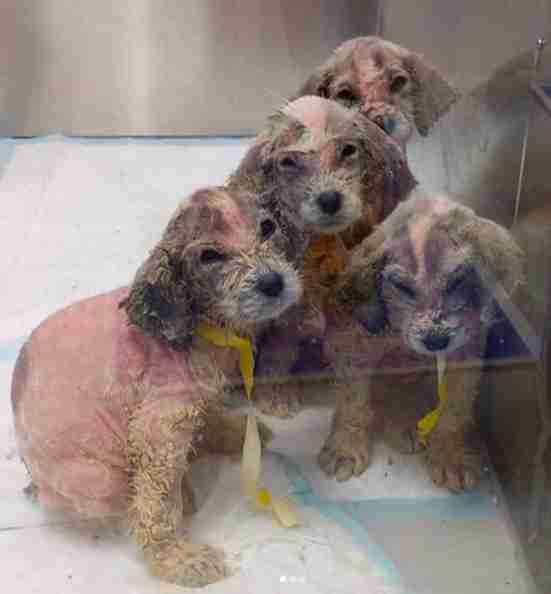 “The staff thought they were cocker spaniel mixes based on their appearance when they came into the shelter's care,” Zaguroli said. 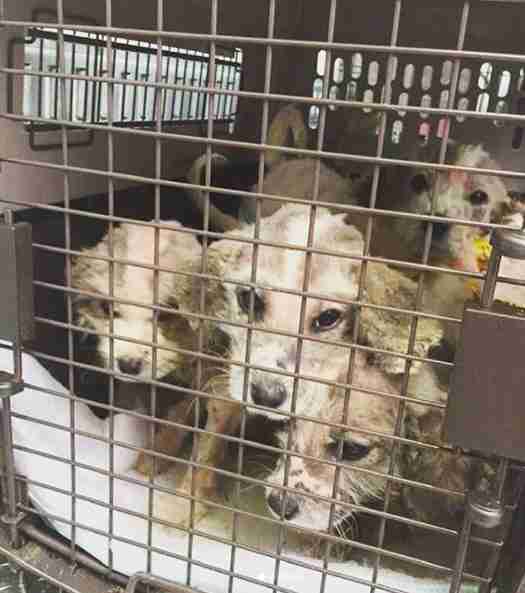 Jacquie Cobb, president of SCCR, saw a Facebook post from the shelter pleading for help with the puppies’ extensive medical care and knew she had to do something. Cobb brought the puppies to Auburn Veterinary College, where they were being treated for scabies, and then placed them in foster homes. 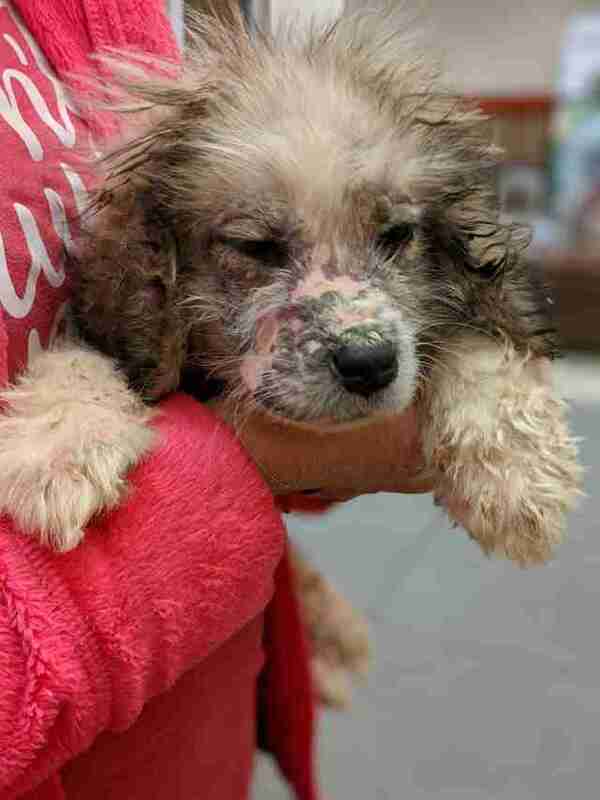 With medicated baths and proper meals, the resilient dogs’ health improved. Slowly, white curly fur began to cover their bodies — but there was still the question of what breed to list on their online adoption posting. “We made a best guess of Great Pyrenees/poodle mixes because the little amount of hair they did have was so curly,” Zaguroli said. In just a few months, the puppies have transformed into healthy, active dogs. Soon, it will be difficult for their families to imagine that the over 100-pound pups could ever have been so small. To help other dogs in need, you can make a donation to Second City Canine Rescue.